If others are building a multi level marketing business online, that means you can too! They obviously have a method or a system to get their business and products in front of as many people as possible. If others are successful with their online multi level marketing business, that mean it’s doable! So how exactly do people get a regular flow of qualified leads? They use something called attraction marketing. This is exactly how to build a multi level marketing business. Sure, you can call everyone you know and talk to strangers at the market, but there is much better way. Using social media to build an MLM marketing business allows people to seek you out instead of you hunting them down. Social media networks like LinkedIn, Twitter, Facebook, Instagram, Pinterest and Google Plus are all part of how today’s network marketer does business. Wow. That might seem a little overwhelming when you think about how to get started. How do you actually get your business in front of all those people who you meet in social media? We’ll get to that in a moment! What is a Multi Level Marketing Business? 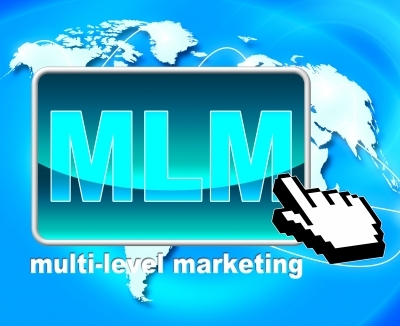 Multi level marketing is also known as MLM. In this business structure, distributors (or reps) sell the products directly to other people. These reps also recruit people onto their business team to sell the products and recruits even more people. Multi level marketing is a marketing strategy that is also known as direct sales and network marketing. Each distributor essentially owns their own business with the possibility of true financial freedom. The MLM business model produces more millionaires than any other profession. 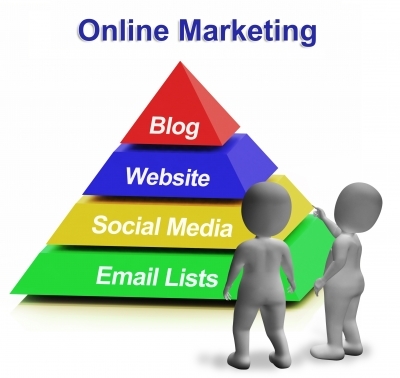 How do you get started with building your multi-level marketing business online? Here are five things that you need to have success in MLM. That means selling products, attracting leads to you and recruiting others into your business. What? I want more money! Nope. That’s not what I mean. What do you want that money for? Vacation with your family? Spend more time together? Get out of the 9 to 5 world? Live more comfortably? Think carefully about why you want to build a multi level marketing business. That will become your driving force to help you keep you in the game! 2 – Start a blog, seriously. A blog is your central location on the Internet. It’s an asset that works for you 24/7. I still earn income from blog posts I wrote in 2009! Does that just blow your mind? But it’s not just me, it can be you too! If you gain the necessary skills and do it right, your blog can attract people all day long! Creating your blog is a crucial step in how to be successful at multi level marketing. You’ll need a lead capture page. This is where you create an irresistible offer. Something you offer for free in exchange for a prospects email address. The prospect then gets added to your email list. Then you market to your list with email autoresponders. Content is a key method to build a multi level marketing business online. It can be blog articles, videos, audios and Facebook notes. When you understand the needs of your target audience, you create content that addresses their needs in some way. That’s where the value comes in and positions you as the authority. There are millions of people on social networks for you to marketing to and build relationships with. All social media networks should lead back to your blog. There, you can capture them into your email list! This powerful multi level marketing strategy cannot be ignored! There is a method to this that anyone can learn, click here now. I just gave you some general steps. Anyone can learn the skills needed to build a multi level marketing business. Ready to start a new adventure? Just click here, enter your name and email and let’s get started with a video overview. Let’s do this!